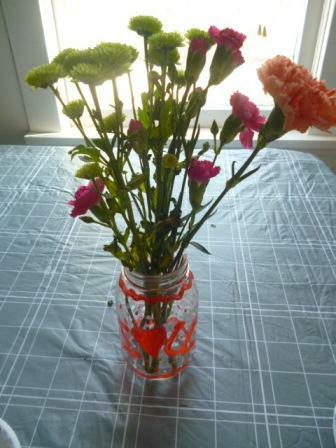 Are you looking for a cheap Valentines Day gift for Teachers? I am cutting it too close this year. Valentines Day is in just a few days and I haven’t even thought about valentine cards, gifts for teachers, boxes that need to be made for school. YIKES! I went on an online hunt today for an inexpensive teacher idea and ran into these beauties made with Elmer’s glue and food coloring! WOW! 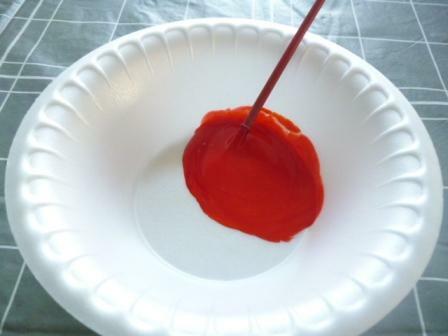 I began by mixing some red coloring with a little bit of glue, I thought I used a little bit–guess I need to go back to the week in Kindergarten where they learn about the proper amount of glue to use–because I had WAY too much! 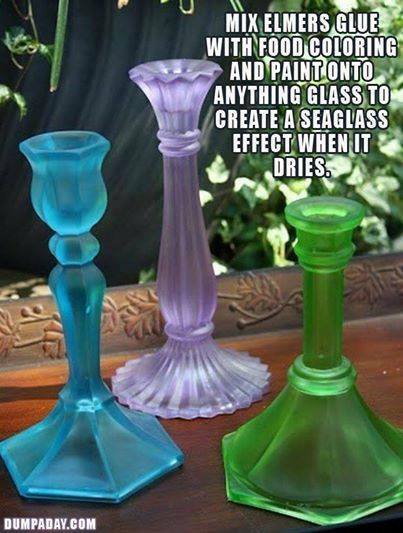 A little goes a long way which makes this craft so inexpensive. Chances are you have all these items at home already! I asked my daughter what her favorite things about Miss F. were….she gave me a huge list. So we wrote them down on pink paper slips. 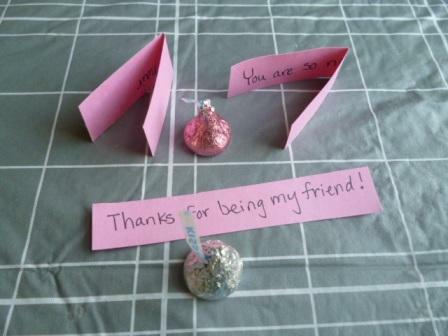 We are going to fill Miss F.’s jar with some yummy candy and these little notes. This will make a truly personalized thoughtful and inexpensive gift for the kid’s teachers this year! 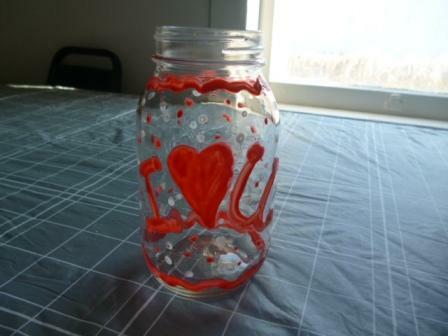 I would love to post a picture of my finished project–but remember at the beginning of the post where I openly admitted that I haven’t even started thinking about Valentines Day gifts yet? That includes candy, we’ve got nothing in the house and I am not running out to the store until the day before Valentines Day or all the candy will be devoured by me–I happened to have 2 kisses for the picture above ONLY because Grandma dropped by a little baggie of treats yesterday, yep there are only 2 candies left! 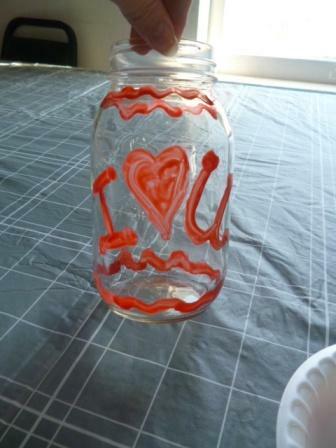 Here is a not even close to partially finished product….but I KNOW it will be an awesome one of a kind gift! If you look SUPER close, you can almost see the 1 candy in there-You guessed it I ate the other one just a minute ago! I can’t wait for my 2nd grader to get home to start working on hers! 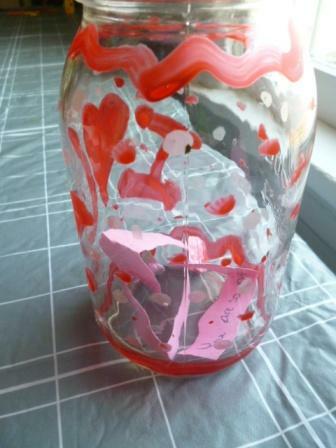 She has the only male teacher at the school and he really like owls, so she is going to write on his jar: Whooooo’s the best? Mr. R! We are going to decorate it with owls and in addition to the nice notes about him, she wants to write things he has taught her this year about owls. They are excited, I am excited….this is what life is all about-JOY!